Respect and Support: It’s Our Job. A Senior Move Manager is a knowledgeable and caring person dedicated to facilitating your move. Each specialist enjoys providing assistance to seniors and their families—it’s rewarding work that we love to do. The Senior Move Manager working with you takes the time to get to know you. He or she will inform you of all the available services at Senior Move Success, and which services may work best for you. This close relationship facilitates a personalized plan of action, ensuring a move that will make you happy to refer us to your closest friends. From the initial evaluation to the first day at your new home, your Senior Move Manager stays with you every step of the way. He or she will answer every question, address every concern, and will not leave until you are completely satisfied. 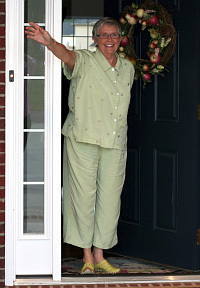 When you know you’re ready to move, call (410) 323-3853, or e-mail us, to meet your Senior Move Manager. Call (410) 323-3853, or e-mail us to begin the exciting transition to your new home.